The Core Ensemble has toured to every region of the U.S. from Key West, FL to Anchorage, AK, and from Las Cruces, NM to Orono, ME. International touring has included venues and festivals in Russia, Ukraine, Australia, England, and the Caribbean. Performances have included such prestigious venues as Fromm Series at Harvard University, the Guggenheim Museum, Central Park SummerStage, the Chautauqua Institution, the Daytona International Festival and New Music Festivals in Massachusetts, California, Ohio and Indiana. From 1995–1998, the Core Ensemble offerred a residency in collaboration with the Duncan Theater/Palm Beach Community College funded by the Chamber Music America Residency Program. In January of 1996 the Heart of a Palm Festival was presented at the Duncan Theatre curated by the Core Ensemble and presenter Lee Bell. 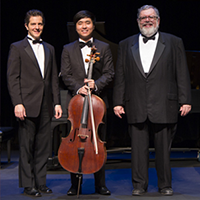 Featured in the Festival were the world premiere performance of Earth Studies with music by Martin Brody as well as an orchestral concert of contemporary repertoire including the Florida premiere the Chinary Ung Triple Concerto with the Core Ensemble as soloists. As a member of the Florida State Touring Program, the Core Ensemble has toured to every part of the state, offering programming to diverse audiences in culturally isolated areas. Educational programs have included several Scholar in Residence Grants from the Florida Humanities Council, to offer collaborative programming in underserved communities with humanities scholars. In addition, the Ensemble has developed Study Guides for educators that incorporate the ensemble’s multicultural chamber music theatre works and conforming to the benchmarks of the Florida Sunshine State Educational Standards. 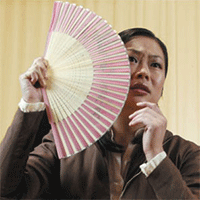 From 2005-2009, the Core Ensemble collaborated with writer/educator/performer Akin Babatunde in the development of several Harvest of Voices programs, chamber music theatre works which featured narratives of the history and lives of diverse populations in Florida. Shows featured the stories of the City of Lake Worth, Glades County, the Haitian Community of Palm Beach County and African American and Hispanic Teens of Belle Glade, Riviera Beach and Lake Worth. The Core Ensemble has always maintained a special relationship with the Community Music Center of Boston. Percussionist Michael Parola taught there in the mid 1980’s and pianist Hugh Hinton has also taught there. 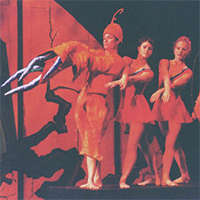 In 1997, the Boston premiere of Charcoal Sketches was presented by the CMCB at Roxbury Community College and in 2003, the world premiere of The Silken Phoenix took place at the Boston Center for the Arts also under the sponsorship of the CMCB. The CMCB commissioned Mona Lisa Speaks for premiere performances in March 2011 as part of its 100th Anniversary Celebration. 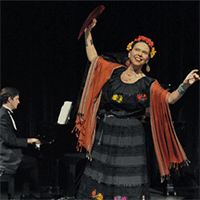 In 2002-2003 the Core Ensemble presented performances of Of Ebony Embers and Tres Vidas and educational/residency programs and master classes at the Wilmington (DE) Music School extending into the city of Wilmington under the auspices of the National Endowment for the Arts. 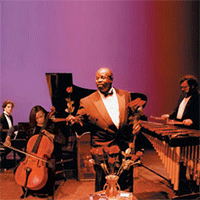 A 2001 Educational Residency in Fort Worth Texas with Imagination Celebration (a Kennedy Center Affiliate) featured performances of Of Ebony Embers. The Core Ensemble has released two CDs on New World Records: A Jazz Set, works of Pulitzer Prize-winning composer Donald Martino and Bending the Light, trio repertoire by Marjorie Merryman, Marilyn Shrude, Ross Bauer, Peter Lieuwen and Dan Welcher. The Core Ensemble can also be heard with the Cleveland Chamber Symphony as soloists in the Bernard Rands Triple Concerto on Albany Records. Additional trio repertoire can be heard on recordings of the works of Jeffrey Mumford and Marc Satterwhite on the Albany and Centaur labels. The Core Ensemble was the 2001 winner of the Eugene McDermott Award for Excellence in the Arts, a $10,000 prize awarded by the Massachusetts Institute of Technology.